Jennie Roberts is the founder and director of the UK’s biggest body painting festival, Paintopia. She started out as a face painter and after meeting Cat Finlayson and developing her painting further, she branched into body painting. Discovering a lack of events in their region Jennie created Paintopia, which over the last four years has snowballed and Paintopia 2015 hosted over 200 face and body painters from over ten countries, including five previous world champions. 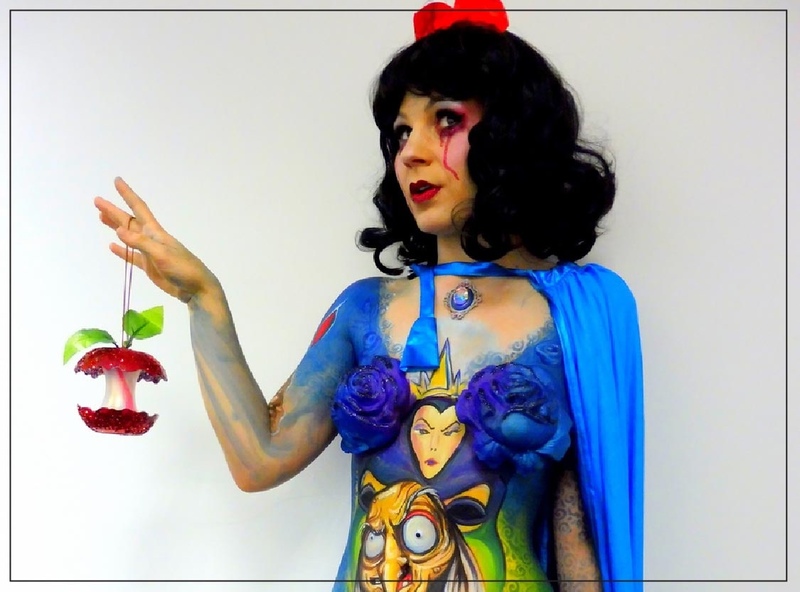 Jennie and fellow artist Cat Finlayson are currently creating a series of twisted fairytale body paints based on the original stories, as opposed to the fluffy Disney adaptations. They are both really looking forward to returning to The Prosthetics Event and creating ‘Scariel’ live on the day, their twisted version of The Little Mermaid, which will be modeled by Gracie Williams.